I can’t wake up without a cup of coffee in the morning, and it’s lovely to watch the sunrise from your tent, or the back door of your camper, with a delicious cup of coffee. 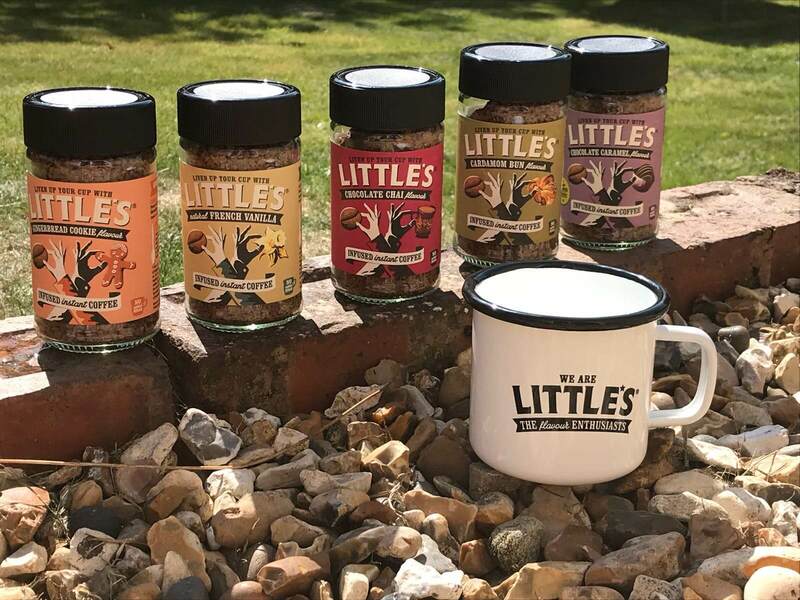 My favourite brand of coffee to take with me on a camping trip is We Are Little’s as they have a wide variety of delicious flavours and they do instant coffees – perfect for the campsite. 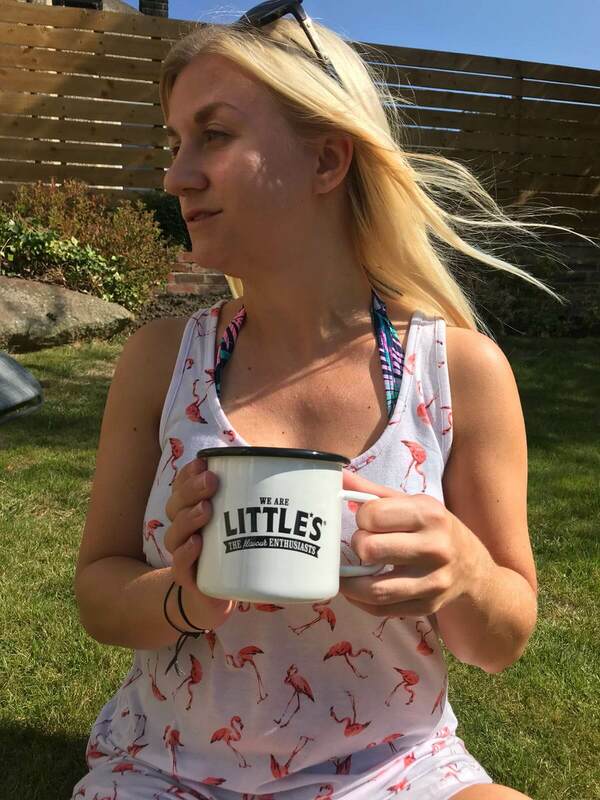 I must say that I’m a huge fan of instant coffee – I just don’t have the time to make a cafetiere and I’ve yet to buy a coffee machine – and We Are Little’s don’t compromise on taste. 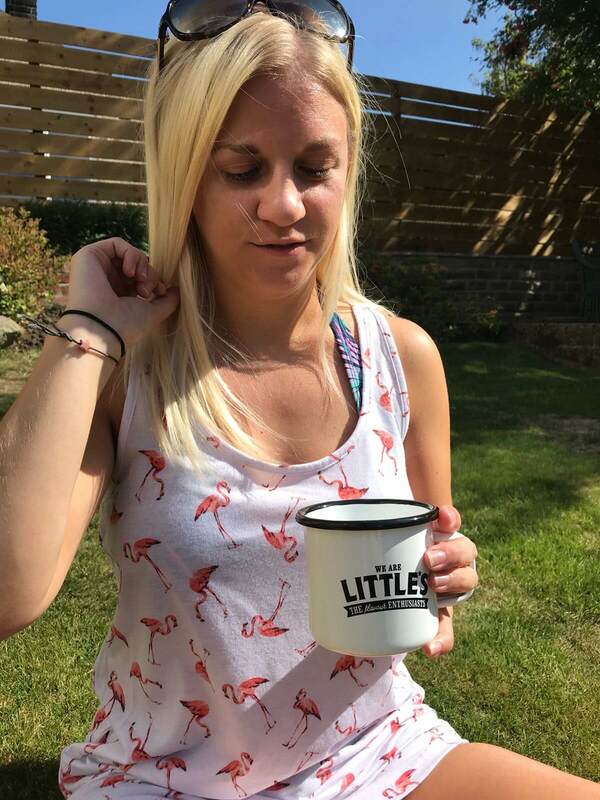 There’s also no added sugar in these We Are Little’s coffee – they’re infused with natural flavours which makes them so delicious. I think my favourite flavour is the rich hazelnut one which is really rich and warming but they have a couple of brand new flavours which are absolutely ideal for an autumn camping trip – chocolate chai and gingerbread cookie – YUM! All you need is your camping stove and somewhere to get some fresh water and you’re good to go. It’s usually cold as well when you’re camping so a lovely hot cup of coffee is just the thing you need to warm you up when you wake up. Probably the very best thing about camping is that you can bring your dog with you wherever you go. 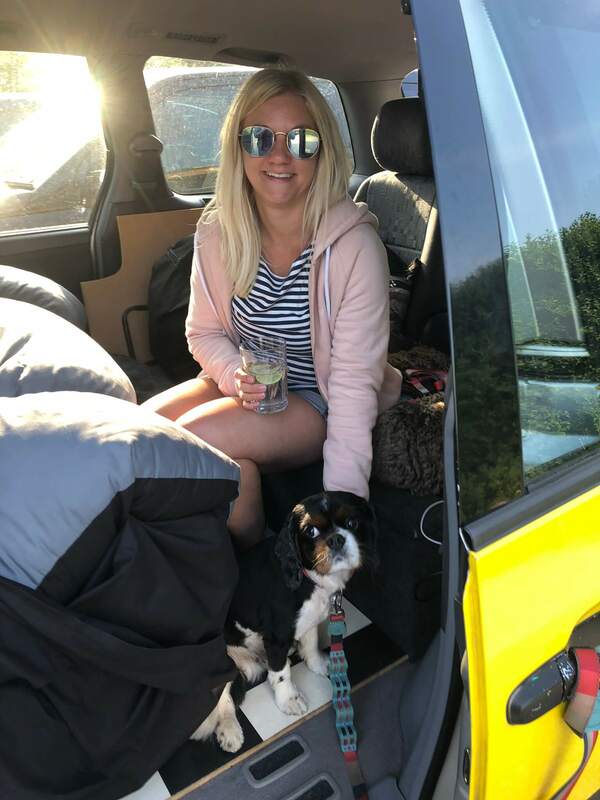 Alfie loved our trip to Cornwall earlier this year and we can’t wait to take him on plenty more holidays with us. There’s nothing better than getting some tunes on at night time with a G&T while you’re relaxing after a full day of exploring. Our personal camping faves include Bob Marley, Toots and the Maytals and Little Roy – we love a bit of reggae! We’ve got a really cool bluetooth speaker as well, which you just place your phone on top of. Top tip – if you’ve forgotten to bring your speaker with you, place your phone in a mug and it will act as a speaker. Sitting round the campfire at night time is one of those rites of passage when you’re camping. We had an absolute mare when we stayed in the Binna Burra National Park, near the Gold Coast in Australia earlier this year. When we arrived the weather was great, but within an hour of us being there it started to pour with rain. Not to be deterred, we set about trying to light a fire with a bag of firewood and 10 matches, which we quickly burnt through. Next to us was Mr Australia who had a really professional set up (you know – pick-up truck, tent, blazing fire, the lot!) and he lent us some fire lighters – but we still couldn’t get the fire going. We spent the rest of the evening in the camper so we didn’t have to face him again! An airbed is a game changer. Since I’m not really a camper at heart (although I love the adventure of it all), I like to be comfy at night time and a mat just won’t do it for me. An airbed is more work but it’s so worth it.